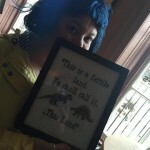 Yesterday was the second meeting of the Nottingham chapter of Geek Girl Brunch and I was thrilled to be asked to read from my novel as part of the literary theme. I was also terrified, but that’s the beauty of saying a Reckless Yes to things you’re invited to do! You say yes, then let the commitment power you through any fear. 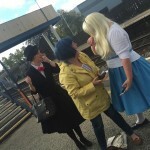 It was a small but perfectly formed gathering of geeky girls including a few who had cosplayed as part of the literary theme – we were joined by a Coraline, an Alice and a Mary Poppins. 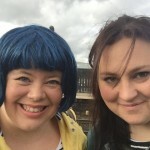 We talked about our favourite fandoms, reclaiming the label ‘geek’, the various ways we each celebrate our geek tendencies and the everyday sexism that still accompanies being both female and geeky. 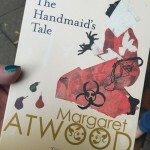 We also did a book swap – I gave away a copy of Margaret Attwood’s The Handmaid’s Tale. Although I’m sure most of the Brunchette’s will have read this it seemed a fitting tale not only for the setting but because it was an incredibly important book to me in terms of the way I think about being a woman and the female role in society as well as vital to me as an author and as a reader who loves dystopian fiction. And then, as dessert was served, I read an excerpt from The Winter Passing. 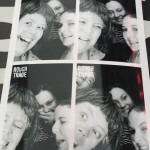 Despite being incredibly nervous about sharing the contents of my imagination I enjoyed the reading. It was actually really nice to give the characters a wider stage, to let them take the story forward. I want to say a big thank you to chapter founder Kelly Race for organising another great brunch and to all yesterday’s brunchettes for indulging me and my novel. 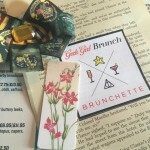 The next Geek Girl Brunch is in early December and I’m already looking forward to another great meal with a great bunch of like-minded girls!